ARC will be at Concordia University in St. Paul from 9:00 a.m. - 4:00 p.m. today doing outreach about the benefits of a vegan diet for humans, animals, and the earth. As part of ARC's Community Involvement program, join us in cleaning up Minneapolis for Earth Day! Exact location and meeting place to be determined. Please bring heavy duty gloves and/or trash pickers if you have them. ARC will provide the trash bags and gloves for those who don't have any. Please RSVP at Vegan Meetup. ARC will have a booth at the Minneapolis Community and Technical College Sustainability Fair from 10:30-2:30. We'll be giving out vegan food samples and literature on how going vegan is good for the planet. ARC will have a booth at the Rochester EarthFest Expo at the RCTC Fieldhouse where we'll be giving out vegan food samples and literature about how transitioning to a vegan diet is one of the best things you can do for the planet. Please grab a basket to enjoy a fun and educational shopping experience. This tour highlights vegan products and substitutes for easy, healthy plant-based meals. Questions are encouraged! You will have a good time. Location is 7401 France Ave. S in Edina. RSVP at Vegan Meetup. Join us for an ARC Volunteer Day at Chicken Run Rescue! RSVP on Animal Rights Meetup as soon as possible as this popular event is limited to 20 people. Now that Spring is here, there will be plenty of clean up outside to get things ready for the birds to soak up the sun and take their dust baths. We will help to get the birds’ playgrounds ready for spring. We will be performing any tasks that need doing, including garden work. There will be plenty of variety for all levels of strength and mobility. Vegan refreshments will be provided. Event is from noon to 3:00 PM. CRR is located in the South Metro area about 30 minutes from Minneapolis and St. Paul. For security reasons, CRR is a closed sanctuary open only to staff, volunteers, and invited guests. We will send out the exact address to those who RSVP YES prior to the event. at 317 W. 48th St. in Minneapolis. The ARC office is located at the same address. I Can’t Keep My Companion Animal, What Can I Do? 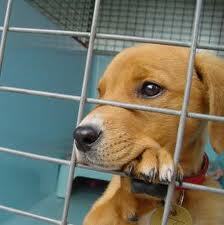 Do you feel you can no longer keep your companion animal and need to find a new home for him or her? This page provides the information you need to help find a good home and ensure that your companion will be well cared for in the years to come. You may be dealing with a behavior problem, or someone in your household has allergies, or you are having trouble finding housing that will accept your companion. These situations can be frustrating, and you may feel that giving up your companion is the only solution. But before you take that drastic step, be aware of the resources that are available to help you deal with these problems. You can also call the Animal Humane Society Behavior Helpline at (763) 489-2202 from 10am to 6pm, 7 days a week. Does someone in your household have a health problem such as an allergy that makes it difficult to keep your companion? Has a physician actually recommended you give up your companion? Before taking such a drastic step: Read PETA’s Living With Allergies to Animals. In a recent study, “moving” and “the landlord won’t allow” were among the top reasons for giving up companion animals. 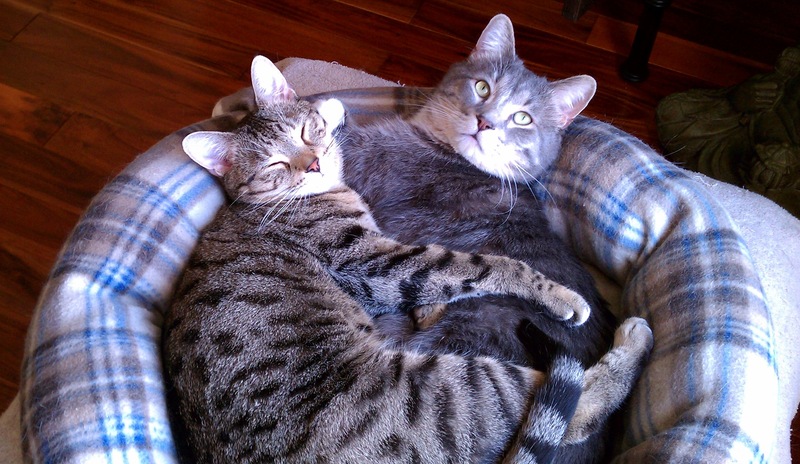 If you are moving and are having trouble finding animal-friendly housing, or are experiencing other animal-related housing difficulties, read the San Francisco SPCA Tenant’s Guide to Keeping Your Pet. Finding a responsible home for your companion animal is the least you can do for an animal that has doubtlessly given you trust and unconditional love. When you look for a new home for an animal, please be sure the animal’s best interests remain your top priority. A “good” home means a home where the animal will live for the rest of his or her life, where he or she will receive attention, veterinary care, and proper nutrition, and be treated as part of the family. Please do not turn your companion loose “out in the country.” This is one of the cruelest fates any companion animal could meet. The suffering and fear they will endure is heartbreaking. For purebred dogs, there may be a breed rescue organization in your area that will accept the animal; check this list of Minnesota breed rescue organizations. For other animals, try a carefully placed newspaper ad in your local paper. Always charge a fee of at least $50 for adopting the animal. This will eliminate people who resell cheaply acquired animals to research, or use “free to good home” animals for training dogs for dog fighting. The brutal, illegal dog-fighting business looks for free kittens, puppies, and older dogs that fighting dogs can kill for practice. ARC recommends visiting any prospective new home to get a feel for the environment. Screen potential homes carefully. If someone refuses to allow you to visit their home, do not place the animal with them. Don’t be afraid to ask questions, impose conditions, or say no. The San Franciso SPCA’s Surrendering Your Pet: The Last Resort has a great writeup on screening people who answer your ad and a list of questions to ask during a telephone interview: Ask for a form of ID. Record the number, name, and address for your records and require the new owner to sign an adoption contract. As part of the contract, require the new owner to contact you if he or she decides at some point to give up the animal. Follow up in a few weeks to see how the animal is doing. Another option is to contact local no-kill shelters (but be aware that these shelters are often full). If the no-kill shelters are full, you can try local humane societies. However, be aware that animals surrendered to humane societies are often evaluated for adoptability, and there’s a good chance the animal will be killed – especially if the animal is older, or too nervous or fearful during the evaluation. We do not recommend surrendering an animal to your local pound or animal control facility. Surrendering an animal to a pound or animal control facility is generally a death sentence for the animal and in some parts of the U.S, municipal pounds surrender animals to research institutions who ask for them. Many municipal pounds do not put any effort into adopting out animals and often animals are only held for a few days before being killed. Finally, only as a last resort, if your companion is terminally ill or has critical behavioral issues such as aggression, you may be considering having him or her euthanized by a veterinarian. Many people leave these animals at shelters, avoiding the reality of what will happen to their “best friend.” It may be easier on you, but your companion will suffer for it by being thrown into a strange place, only to die there because he or she is unadoptable. Placing such an animal in a new home is difficult. Your companion may be traumatized by the shock of a new home or even abandoned by the new owner once his or her problems are discovered. If you choose euthanasia, as a final kindness, you should remain in the room to comfort your old friend during his or her passing. No one should die alone or with strangers. If you do give up your companion animal, please think long and hard before you consider getting another one. Make sure that what caused you to consider giving up this animal will never, ever happen again. When you took in this animal, you took responsibility for a living creature. You may have to accept the fact that you just are not able to have a companion animal. Please, do not become a serial pet dumper!! © Animal Rights Coalition, 2019.